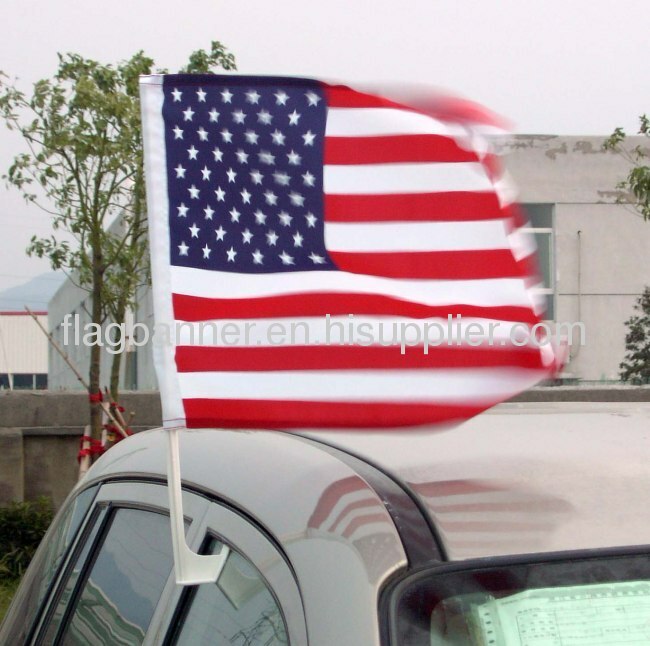 Flexible 17''/ 43cmpolypropylene unbreakable plastic car flag pole. 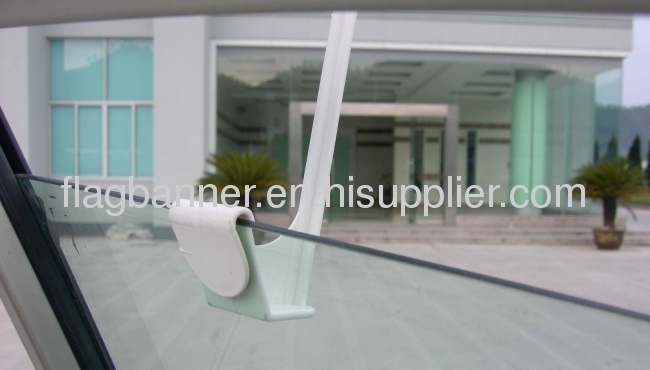 The first type is an unbreakable flexible 43cm polypropylene plastic car flag pole. It has 4 spikes so when the flag it placed on the pole it doesn't fly off. The flexible pole is best for large production because it is cheaper and lighter. This kind of pole would will bend at high speeds and will not break excellent for promotional use, and special events.